Sophie & Alex got in touch last year through two recommendations for their Sandhole Oak Barn wedding. There is absolutely no better way to get a wedding enquiry through a strong recommendation. Tamsin from one of my recent weddings was one of my recommenders. Back in a previous life I used to drive by Astbury church all the time and always thought I’d love to shoot here. Luckily I got an awesome couple to book with me and they made my dream a reality. I’m not a religious person but there can still be something quite atmospheric and powerful about a building. This was also my first time shooting a Sandhole Oak Barn wedding which as expected was beautiful and fully delivered on it’s end of the bargain. Right from the start of the day I felt a huge family connection to the day. All of Sophie’s family had important roles in the day, her sister was her bridesmaid/ maid of honour, her other sister her flower girl, her mother gave her away, her brother was bridesman/man of honour and her younger brother was the ring bearer. Then it was the exact same on Alex’s side as he selected not one, not two but all of his three brothers as his best men. I felt right at home with both of these families and it became a little uncanny when Alex described how he’d suffered a coal shovel attack by one of the brothers during their younger years, which was something which also happened to me. Bizarre. I never really used to get rain, like ever. I was the lucky sun charm for so long. My last 3 of 4 weddings though have rained at some point during the day. Rather than cower in the corner and cry myself in to a nervous slumber I’ve grown to love it. It makes you work in weird and wonderful ways. Pushing your thinking to the edge and harnessing all the time which does become available to it’s fullest. 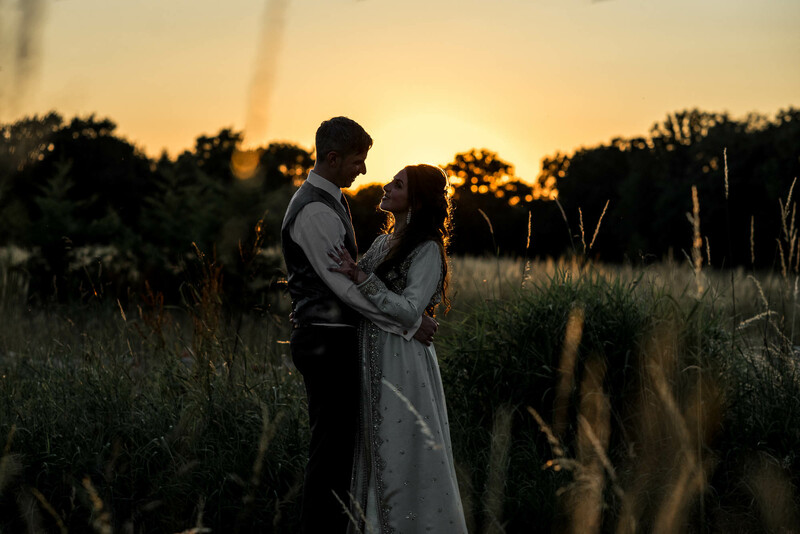 Looking for a Sandhole Oak Barn Wedding Photographer? I’m a relaxed and informal Stoke-on-Trent wedding photographer who often ventures further afield including Staffordshire, Derbyshire, Cheshire, Shropshire and the rest of the UK. I don’t charge for my travel or accommodation as I love the look of different landscapes in my photographs. If you are interested in having me photograph your wedding whether it’s in Heath House or elsewhere then CLICK HERE to drop me an email about your day. If you’d like to hear a little bit more about me, my life and my sausage dog you can click here to find my about page.